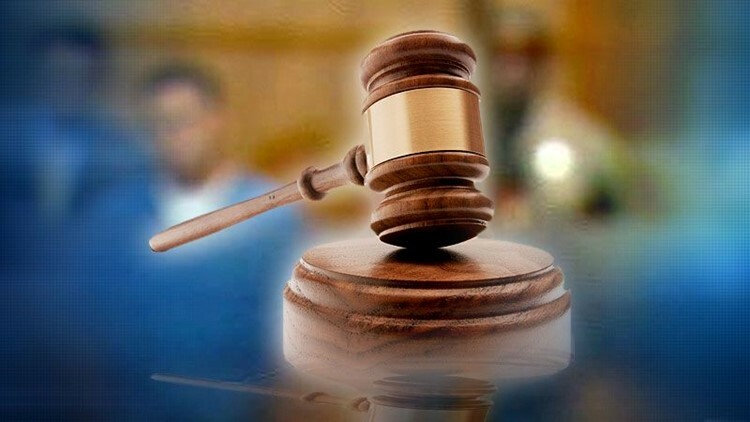 SAN DIEGO (CNS) - A former lieutenant for a Mexican drug cartel was sentenced Friday to more than 11 years in prison for his role in a criminal smuggling organization responsible for shipping heroin, cocaine and methamphetamine from Mexico into San Diego. Jesus Manuel Salazar-Nunez of Culiacan, Mexico, pleaded guilty Aug. 14, the day he was scheduled for trial in the case, to conspiracy to import illegal narcotics into the United States. While handing down the 135-month custody term to the 35-year-old defendant, U.S. District Court Judge Dana Sabraw noted that Salazar-Nunez used his education and professional achievements as a college-educated businessman to help move hundreds of kilograms of drugs month after month across the U.S.- Mexico line. "You are not an ordinary defendant ... and you need to recognize how wrong (your conduct) was," Sabraw told Salazar-Nunez. Through his plea agreement, Salazar-Nunez admitted to making arrangements for four tractor-trailer shipments of narcotics. All the big rigs were seized in Mexico in the spring and summer of 2015, court documents state. That same year, U.S. Drug Enforcement Administration agents intercepted the communications of Salazar-Nunez and other high-level cartel members making arrangements for cargo trucks to travel from Sinaloa, Mexico, to Baja California, carrying drugs hidden among canned food and drinks, frozen shrimp and vegetable boxes, and other household goods, according to prosecutors. Once the vehicles arrived at a Tijuana warehouse, the narcotics were unloaded, distributed to couriers and smuggled into San Diego. Salazar-Nunez allegedly recruited drivers, made arrangements with narcotics customers to use their transportation services, deposited narcotics proceeds into various Mexican bank accounts and designed items to make it appear that the tractor-trailer loads contained legitimate items. Agents arrested Salazar-Nunez in September 2015, when he flew into Hartsfield-Jackson Atlanta International Airport from Guadalajara, Mexico. "Today marks yet another severe blow to the operations of the Sinaloa Cartel," San Diego-area U.S. Attorney Adam Braverman said. "The cartel's drug-trafficking empire continues to be diminished and their power eroded with this prosecution."